Great for tossing and using with water balloon launchers! 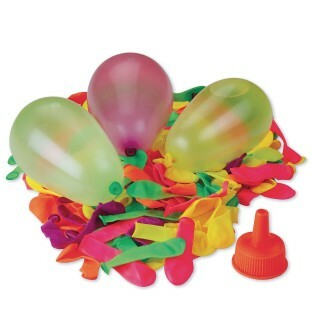 Value pack of 250 water balloons and a water balloon filler. Great for tossing and using with water balloon launchers! Balls can be filled to about 3” in diameter.